When users search for information in domains they are not familiar with, they usually struggle to formulate an adequate (textual) query. Often users end up with repeating re-formulations and query refinements without necessarily achieving their actual goals. 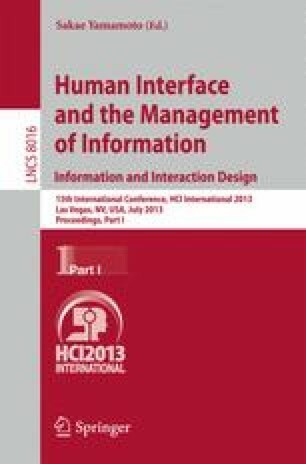 In this paper we propose a user interface that is capable to offer users flexible and ergonomic interaction elements to formulate even complex queries in a simple and direct way. We call this concept QUEST (Query User Interface for Exploratory Search Tasks). The proposed radial user interface supports phrasing and interactive visual refinement of vague queries to search and explore large document sets. The main idea of this concept is to provide an integrated view of queries and related results, where both - queries and results - can be interactively manipulated and influence each other. Changes will be immediately visualized. The concept was implemented on a tablet computer and the usability was stepwise evaluated during a formative and a summative evaluation process. The results reveal high usability ratings, even if the concept was completely unknown to our test users.